We understand the rigours of business on the road, which is why we have created a service tailored to the specific needs of business travellers. With our exclusive Business Plus service, you’ll enjoy a range of amenities to help you relax, stay productive and keep connected. After a long day, you can look forward to relaxing in our soothing whirlpool, taking a leisurely swim in our spacious pool, or working off some stress fully-equipped fitness centre. 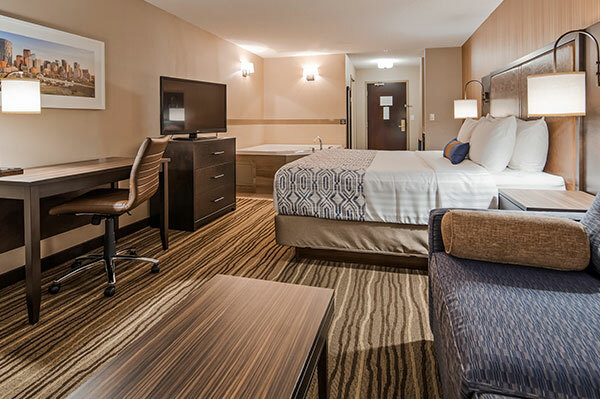 Click here to view our Business Plus Rooms. When you’re ready to make reservations, book online for our best rates.